A biography of Bessie Smith, the great singer known as the "Empress of the Blues". Considered by many to be the greatest blues singer of all time, Bessie Smith was also a successful vaudeville entertainer who became the highest paid African-American performer of the roaring twenties. This revised and expanded edition of the biography of this extraordinary artist, debunks many of the myths that have circulated since her untimely death in 1937. Chris Albertson seeks to write with insight and candour about the singer's personal life and her career, supplementing his historical research with dozens of interviews with her relatives, friends and associates, in particular Ruby Walker Smith, a niece by marriage who toured with Bessie for over a decade. 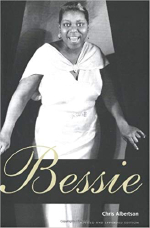 For this edition he includes more details of Bessie's early years, new interview material, and a chapter devoted to events and responses that followed the original publication in 1971.